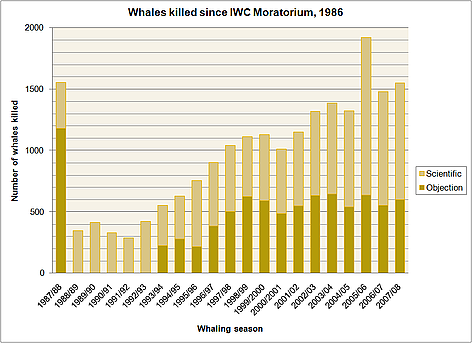 Commercial whaling was banned in 1986 under the IWC's moratorium. 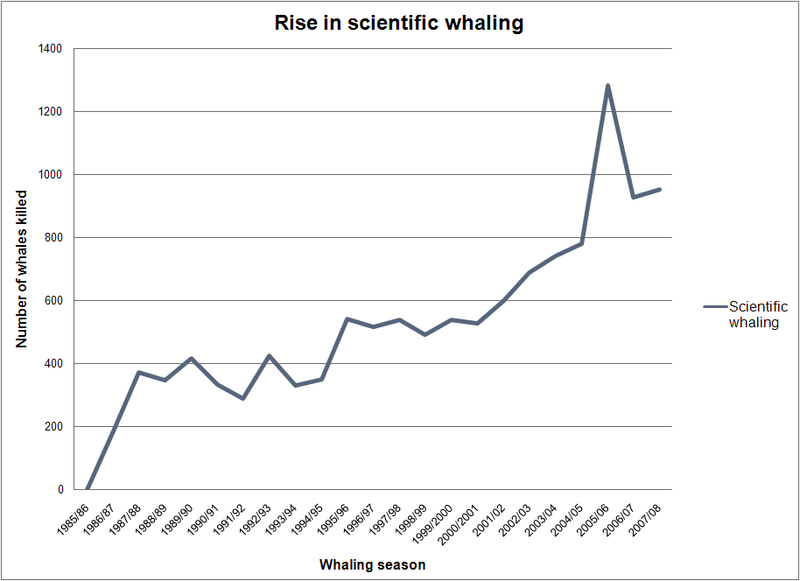 However Iceland and Norway lodged official objections to the moratorium and have continued a commercial hunt. 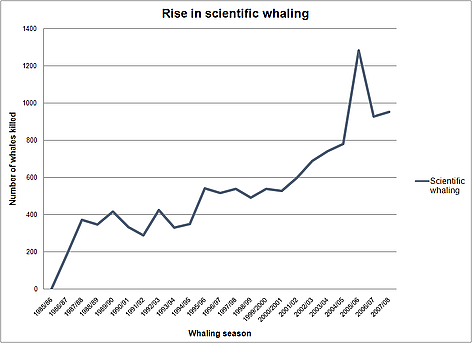 Japan and Iceland have also continued to hunt whales under the guise of "scientific whaling". 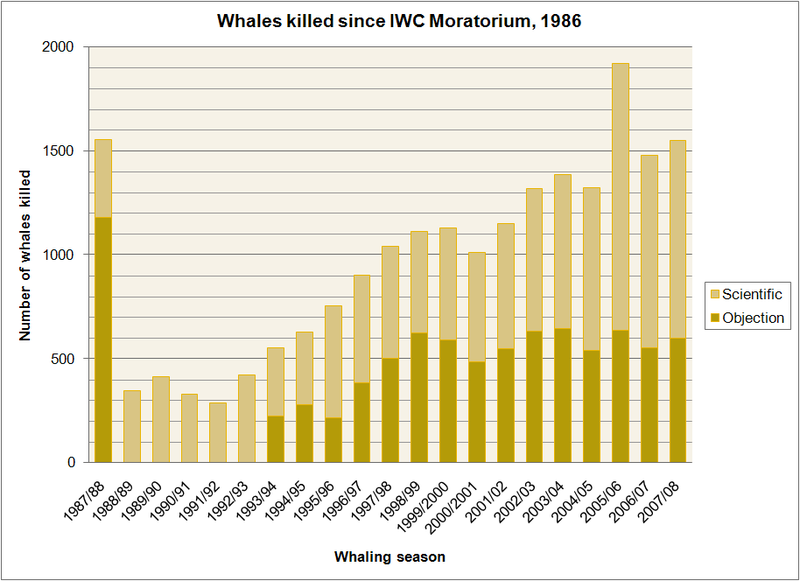 The following graph shows the total number of whales killed since the moratorium, and makes the distinction between "objection" whaling and "scientific" whaling.